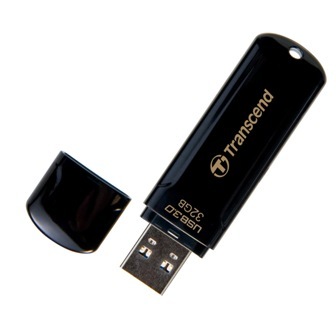 Sydney, Australia, August 4, 2011 – Transcend Information, Inc. (Transcend®), a worldwide leader in storage and multimedia products today announced the new JetFlash 700 USB flash drive to its USB 3.0 product portfolio. With a sleek and sturdy exterior, the JetFlash 700 offers accelerated data transfer rates, making it an ideal entry-level USB 3.0 peripheral for users that demand stylish semblance with top technology. Employing the next-generation USB 3.0 specification and speed, the JetFlash 700 makes for effortless access to rich digital content. Equipped with SuperSpeed USB 3.0, experience optimised interface speeds up to 10x faster and take advantage of lightning-fast data transfer rates of up to 70MB/s – nearly twice the read speed, compared with Hi-Speed USB 2.0. The outer surface of the JetFlash 700 is streamlined, featuring a divine yet durable finish fabricated with ultrasonic welding technology. On the inside, the JetFlash 700 includes the functional Transcend Elite data management software tool for easy data backup, recovery and synchronisation. As well as allowing users to check emails from any compatible computer, the JetFlash 700 can also be used as a key to automatically log on to website accounts. The JetFlash 700 is fully compatible with SuperSpeed USB 3.0 and Hi-Speed USB 2.0, features easy plug and play installation with LED usage status indicator and requires no external power or battery. Available in 8GB, 16GB and 32GB capacities, the JetFlash 700 is backed by Transcend’s limited lifetime warranty. Now available in Australia and New Zealand, the JetFlash 700 is the latest addition to the expanding Transcend USB 3.0 line-up which also includes the StoreJet 25H3P portable hard drive and SSD18C3 portable solid state drive. 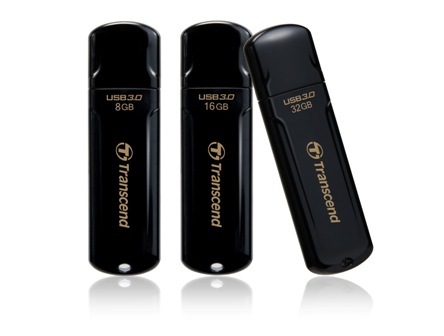 Transcend is expected to release more USB 3.0 products locally in the near future. JetFlash 700 RRPs: AU$44.95 inc GST / NZ$59.95 (8GB), AU$69.95 inc GST / NZ$89.95 (16GB), AU$129.95 inc GST / NZ$159.95 (32GB). Transcend products are distributed in Australia by Cellnet, Synnex Australia, WestGroup and in New Zealand by Cellnet, Datawell (NZ), Ingram Micro New Zealand, Synnex New Zealand.